Fabric banners are growing in popularity because they offer several advantages over vinyl banners. Fabric banners are more attractive, don’t crease as easily, and can be folded flat for easy transportation and storage between events. In addition, the less reflective surface is better for events where flash photography will be used. Custom fabric banners from Print Banners are suitable for photo backdrops, table tops, and elegant pop displays. Our wrinkle free cloth banner is made with a high quality printable 100% polyester 9 oz. fabric. The material is a three layered woven fabric that has minimal space between the threads. This allows for exceptional printing quality, compared with standard fabrics. We are able to print your fabric banner in a variety of sizes to meet your unique needs, up to a maximum size of 8’ x 100’. A variety of finishing options are available to work with different outdoor fabric banner stands. 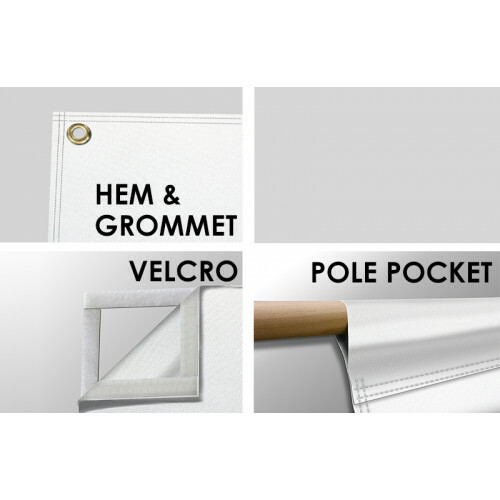 Choose from pole pockets, sewn in rope, hem and grommets, D rings and webbing, Velcro, reinforced corners, and windslits. We provide popup step and repeat banners and fabric banner printing using a dye sublimation process and high resolution digital printing at 720 x 720 to produce high quality graphics and images. This process ensures that your fabric banner will be scratch resistant and washable, so you can use it again and again. You can machine wash your fabric banner on the gentle cycle in cold water. After washing, you can hang dry or lay the banner flat to dry. Avoid the dryer, bleach, or ironing to prevent damage to the fabric. If there are wrinkles or creases after washing, you can use a hand steamer to get them out. With proper care, your fabric banner will give you years of reliable use. Place your order through our website before 12 pm PST for same day shipping. 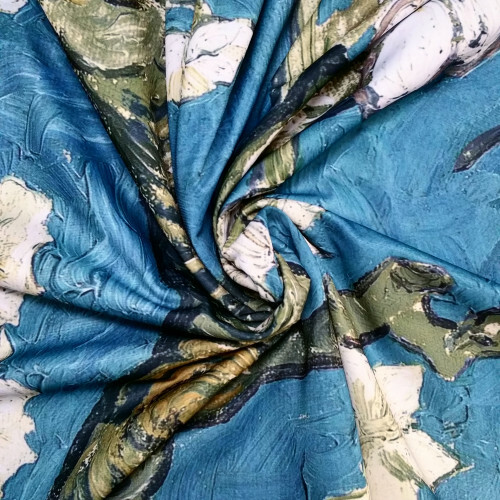 Our printable fabric is a three layered woven fabric that is 100% Polyester. This fabric is wrinkle resistant with minimal light reflection. The minimal space between threads on this fabric allows for exceptional print quality and opacity, more than other standard fabrics. 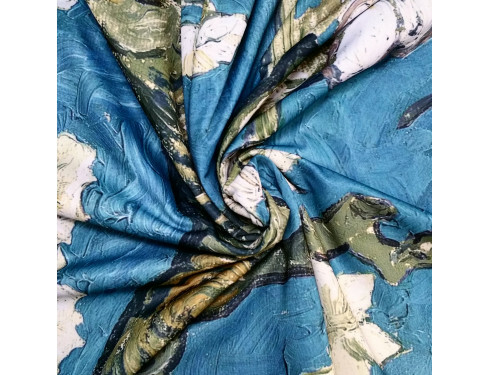 Fabric is suitable for table tops, photo backdrops, and elegant pop displays. Q:What do you recommend on fabric cleaning and wash setting?